More information will be added as the event gets closer. LCASLA sponsored bar tab, first come first served! Please join New Orleans Architecture Foundation on Saturday, October 21st for a self-guided tour of eight stunning Uptown / University area homes, where you will learn about the history and architectural significance of each. Ticket price provides entrance to 8 private homes and can be purchased in advance at noaf.org/events/fallhometour or the day of the tour at Café Luna at 802 Nashville Avenue. This year ASLA is heading to LA (The other LA) for the 2017 Annual Meeting and Expo! The 2017 Annual Meeting is fast approaching! Stay tuned for more information, including a full list of speakers and vendors. 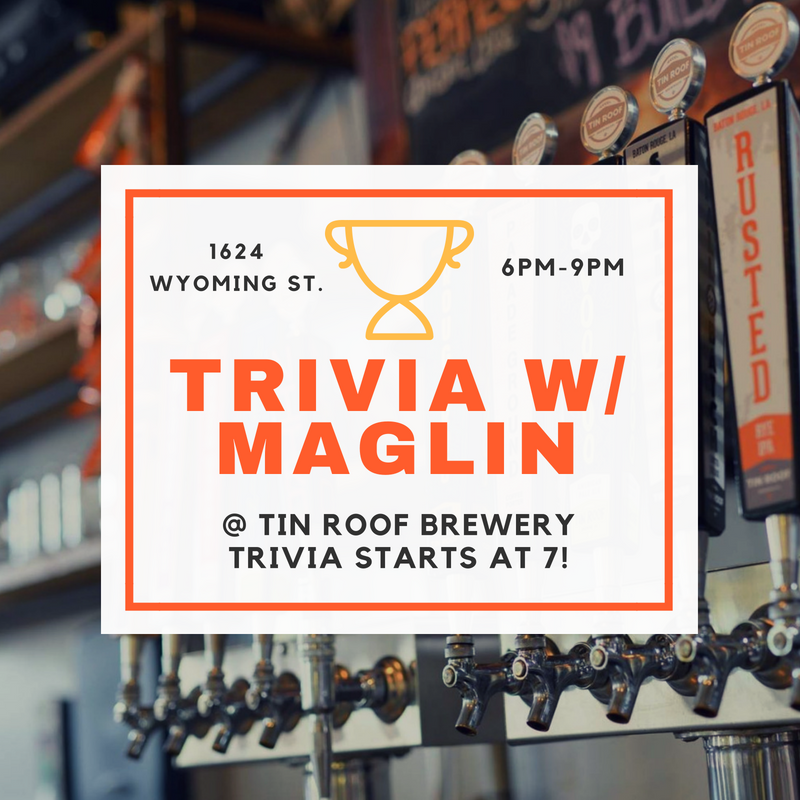 Join us August 17th, 5:30 pm, at Tin Roof Brewery for trivia and drinks while we chat with the NDS Rep. It's a great time to show off your trivia knowledge and talk shop. Join EBR Planning for a professional development workshop for Traffic Engineers, Planners, Landscape Architects, and other Transportation Professionals. A gang of Louisiana Landscape Architect's are heading to DC to shake hands and advocate for the profession. In celebration of the City of Baton Rouge’s Bicentennial Anniversary, the William Bartram’s Louisiana Trail Conference will take us back to 18th Century Louisiana where we’ll learn about the history and natural world of West Florida as well as Bartram’s contributions to art and literature. ASCE T&DI has scheduled this last-of-the-year seminar just before the busy Holiday Season. So this is a second reminder to please join T&DI at the UNO Engineering Building #12 Auditorium/Lecture Hall for an informative seminar on Sustainable Rating Systems for Public Improvement Projects. The Institute of Sustainable Infrastructure (ISI) collaborated with the Harvard School of Design to develop the Envision system, which provides guidance on sustainable best practices. Through this seminar, we will differentiate the leading rating systems (e.g., STARS, Greenroads, INVEST, LEED ND, and Envision). We will present the basics of Envision and will use Envision on a real project. The 2016 Annual ASLA Meeting and EXPO will be held in New Orleans, Louisiana! We are very excited to be the host chapter and can't wait to bring you the best event in years (in probably ever if we're being completely honest)! Check out the full weekend schedule. As landscape architects, we create spaces that have soul. We intuitively understand the unique characteristics that reflect the cultural heritage and natural features that define a site within its context. Landscape architects also take those characteristics and synthesize what is distinctive to underscore and amplify what makes a place special. Our designs are influenced by place, and place is influenced by design. Rich in history as a “melting pot” of French, Spanish, Creole, African, Irish, German, and Italian heritage, New Orleans embodies a culture like no other. Known for its laissez-faire attitude (French for “Let (people) do (as they choose),” New Orleans is well known for its hospitality, food, and revelry. This distinctive way of life takes place in a dynamic ecological zone at the intersection of the Mississippi River and the Gulf of Mexico, offering an exceptional marriage of culture and place. Be sure to be part of this extraordinary event. Take advantage of 120 education sessions, 15 field sessions, four workshops, and two general sessions. Explore the profession’s largest EXPO, showcasing innovation, beautiful design, and environmental responsibility. Share ideas, best practices, and some fun with your fellow professionals. And celebrate the place and the people that are New Orleans. The New American Garden: The Landscape Architecture of Oehme, van Sweden, a photographic landscape architecture exhibition that chronicles the careers and influence of Wolfgang Oehme and James van Sweden, October 19–December 9, 2016. The exhibition is free and open to the public. includes 52 contemporary and newly commissioned photographs of important residential, civic, and commercial projects. Oehme & van Sweden revolutionized the field of landscape architecture with their New American Garden typology, one centered on the use of broad and lush sweeps of grasses and perennials and rich contrasts of textures rather than the neatly clipped lawn-based landscapes that characterized postwar American design. Significant public examples in Washington, D.C., include their breakthrough project, the Federal Reserve Board Garden, along with the National World War II Memorial, U.S. National Arboretum, the German-American Friendship Garden, Reagan National Airport, the Department of State International Chancery Center, the planting design for Pershing Park (the park is designed by M. Paul Friedberg), a complex of Capitol Hill town homes, and others. Visit tclf.org for more information about the traveling exhibition. Visit as.lsu.edu/union-art-gallery for LSU Student Union Art Gallery hours and directions. Parking Day location is yet to be determined. Follow us on Facebook and Instagram for the latest information.